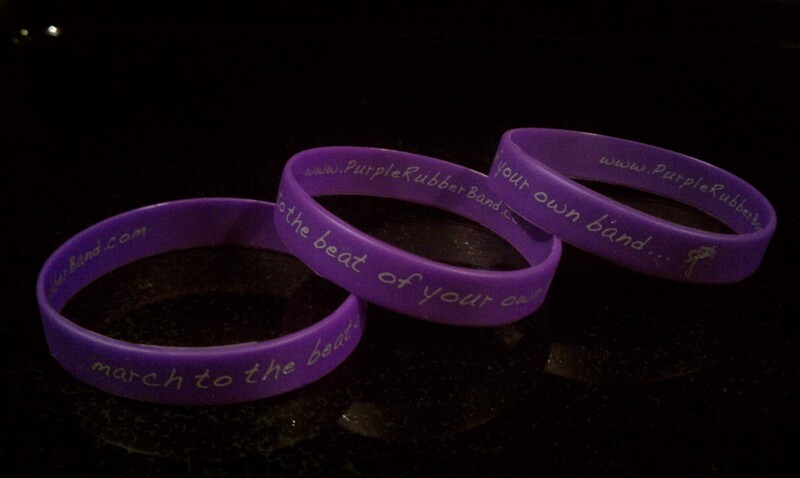 The Official .PurpleRubberBand. – .PurpleRubberBand. Designed to empower the dreams and endeavors of the individual. On the outside of the band it reads, “march to the beat of your own band…” This is to remind you that while you have a network of people who support your success, ultimately, the drive you have to chase your dreams is what matters most. Grab a PRBand to empower yourself; grab a few PRBands to empower those whose dreams you believe in. Inspiration is cyclic, just like a PurpleRubberBand.